I have no memory of how it came about. 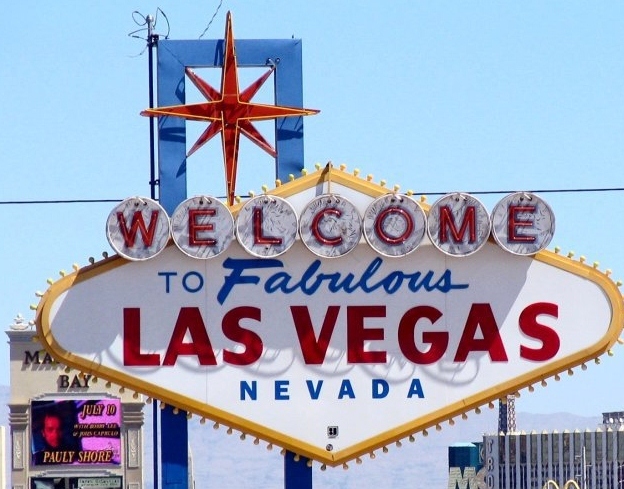 Somebody came up with the idea that the three of us should do a girl’s trip to Vegas. 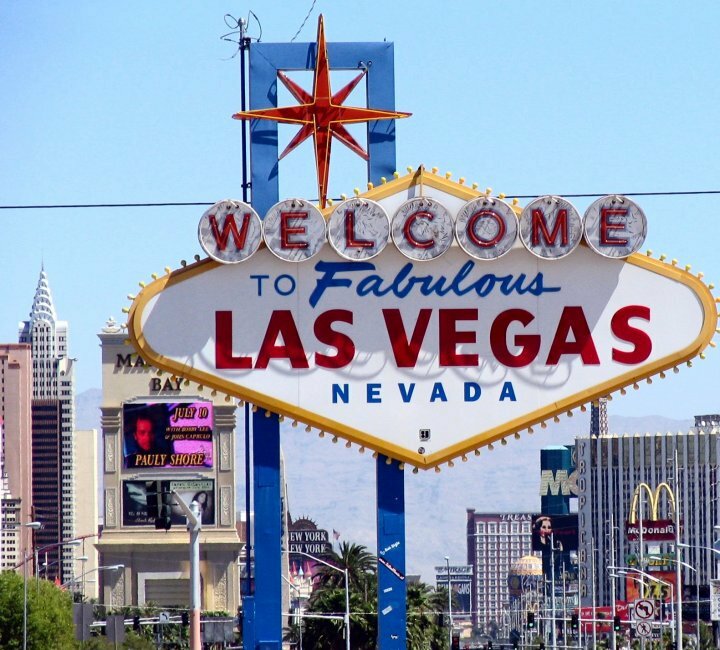 I’d never been to Las Vegas. It had never been high on my destination list. But I knew this was a rare chance for me to see the place since Doc has always been clear about having “been there, done that” and never wanting to do it again. Not one to ever to turn down seeing a new destination, I climbed on board the plane to Vegas for a rare 5-days without Doc. 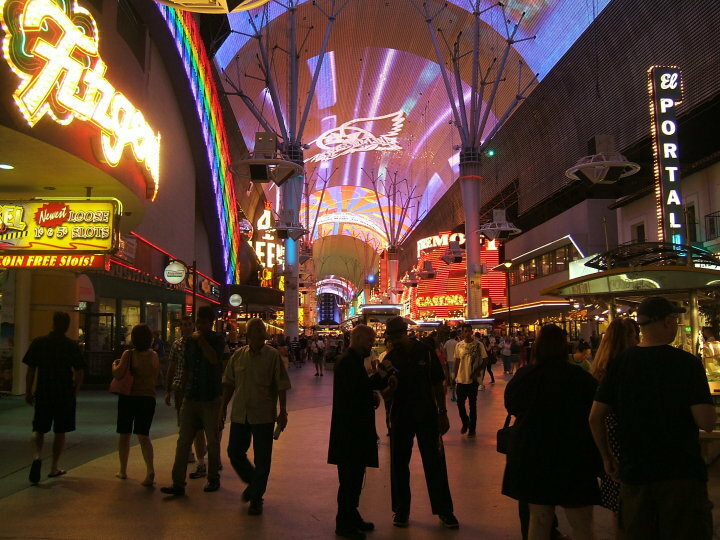 We’d done our research and thought it would be kind of cool to stay in the old, historic part of town — Fremont Street. The light show they have every night at 9 p.m. was fascinating and the street “party” that inevitably went on at the same time was lots of fun. There are bands playing throughout the evening and street performers and artists working up and down the street. 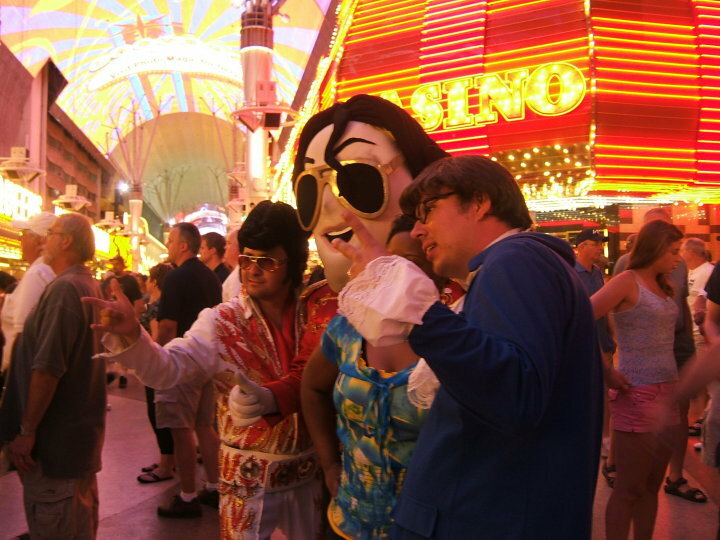 A shuttle bus runs between the old part of town and “the strip” so transportation was no problem. Actually, riding the bus was a plus. 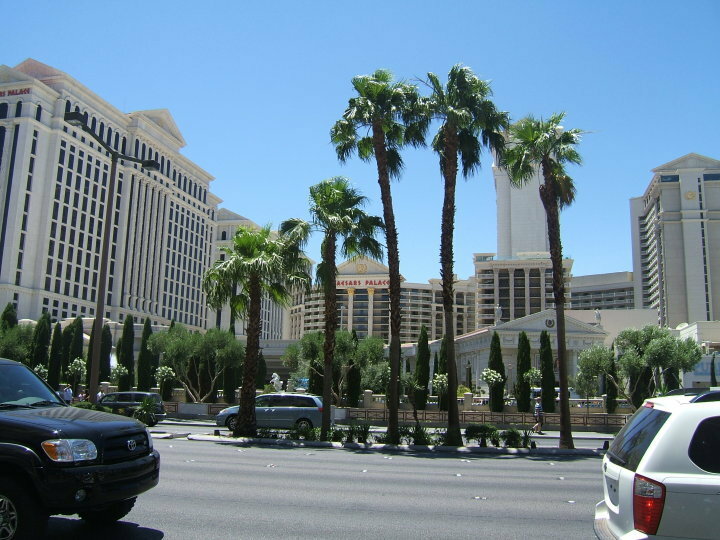 The hotels on the strip are VERY far apart, even though they are “next door” to each other. It was great being able to hop on and hop off the bus to go from one to the next as we checked out many of the hotels. Our feet really appreciated it! Our flight landed before lunch and we made our way to the car rental desk where we rented a car just for the afternoon (we had to pay for a whole day of course). Mj drove the three of us to the Hoover Dam. The traffic was horrible and we were in standstill, stop and go traffic for a good hour although I understand they’ve expanded the road now to alleviate the problems. Hoover Dam was an interesting sight with the desert scenery surrounding the massive structure. Parking wasn’t a problem as there seemed to be plenty of spaces. There were a lot of visitors, but unless you’re taking a tour, there’s not much reason to stay more than an hour. We had lunch in the small food service area, took a look at the view and were then on our way back to Vegas. Back at the airport we looked for the transfer service which we’d pre-purchased from the airport to the hotel through the airline’s website. We had a difficult time figuring out where we should wait and got two or three different answers when we asked. When we did find the right spot, we waited and waited but no one ever came for us. It seemed that we had been forgotten. It took a couple of phone calls and nearly an hour of waiting before a van finally arrived to pick us up. 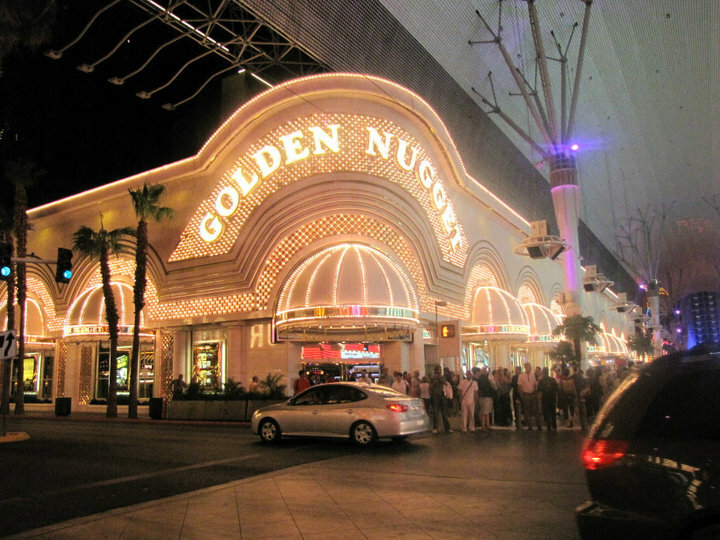 The driver took us to the Golden Nugget. I have mixed feelings about this hotel and would probably not stay there again. We were given a room in Carson Tower which are the older rooms but they were, nevertheless, very nice–pretty, clean and updated. The beds were comfortable and I usually hate hotel beds. Our only complaint about the room is that there was no coffee pot and it’s inconvenient to have to get dressed and hike downstairs to buy coffee from Starbucks (and expensive too). The hotel is beautiful. We had one meal in the cafe that was good, reasonably priced and with good service. The staff that I dealt with were pleasant and helpful. The Golden Nugget was the only hotel we saw which had penny, nickel and quarter slot machines, if you care to know that sort of thing. Amy and I didn’t as we find casinos boring. Our friend Mj though does enjoy playing the slots so, in that respect, the hotel was a good choice for her. The problems we encountered outweighed the positives. We had done our research prior to our trip. Several hotels would have met our needs. But we chose the Golden Nugget because of the pool. The shark tank in the center was beautiful. We also liked that there was an adults-only pool on the top floor. Tired from the flight and our “dam” adventure, we decided to hit the pool and hot tub to relax before dinner. Unlike other hotels, the Golden Nugget has no sign at the door saying that you needed a room key to swim. No one ever asked us for a room key. When we arrived at the pool that first evening it was crowded with kids and we wondered if local families used it since no one was checking. We decided to bypass the crowd and we went upstairs to the adults-only pool which is small and shallow but very nice with plenty of lounge chairs and a bar. Unfortunately, there is no hot tub in the adults-only area. The hot tub is on the first level and is open to all ages. After our swim, we went back downstairs, grabbed a fancy umbrella drink from the bar and got into the hot tub. We discovered later that the chemicals weren’t balanced properly when all three of our swimsuits were bleached wherever they were below the waterline! Amy and I also developed a rash on our legs which we realized later was probably a slight chemical burn. The hot tub turned out to be an unpleasant experience because several kids followed us in and were jumping around playing games, even trying to swim in it. A sign says that kids need to be with an adult but there wasn’t an adult to be seen — at least not one that was willing to admit being connected to these kids. The sign also says it’s recommended that kids stay in for 10 minutes only, due to health concerns I suppose, but these kids were there for the long haul. We stayed long enough to finish our drinks but finally gave up and went back to our room. We never did visit the hot tub again because every time we looked, no matter how late in the evening, kids were in it playing games and even tossing beach balls around. The next day when we came back from a full day of sightseeing, we were anxious to visit the pool. Unfortunately, someone, probably one of the small children, had had “an accident” in the main pool and they’d had to shut it down for cleaning. It wasn’t scheduled to reopen until the next day. Again we went to the small adults-only pool, however, we found kids splashing around there! About the time we were getting ready to get out and complain to a manager, the bartender came over and told the kids to leave. Their mother argued with him and said someone downstairs had given them permission to swim there. The bartender was polite but still insisted they leave. We were very appreciative and told him so. 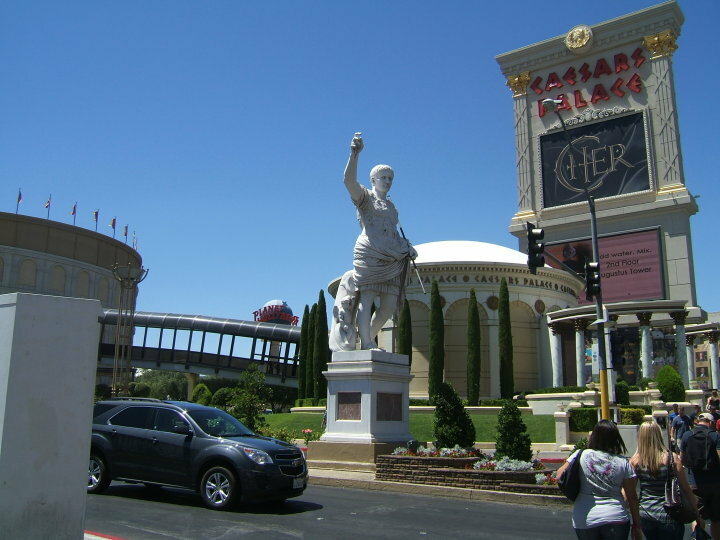 We spent our days checking out all the amazing hotels/casinos. Each is unique. All are massive complexes. 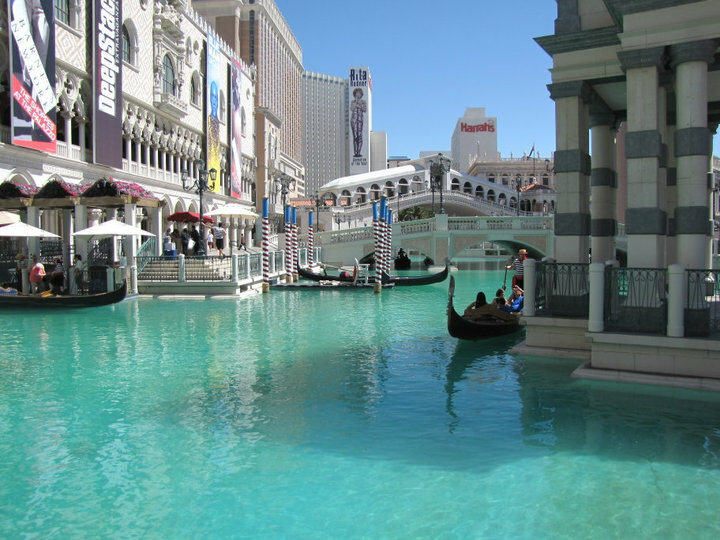 Most of them have multiple pools and/or “extras” like an aquarium, a tower high amusement park, or the canals of Venice. You can see the Eiffel Tower of Paris, a roller coaster zipping through New York and wild animals including a white tiger. You could spend days doing nothing more than touring inside hotels. All are all beautiful. 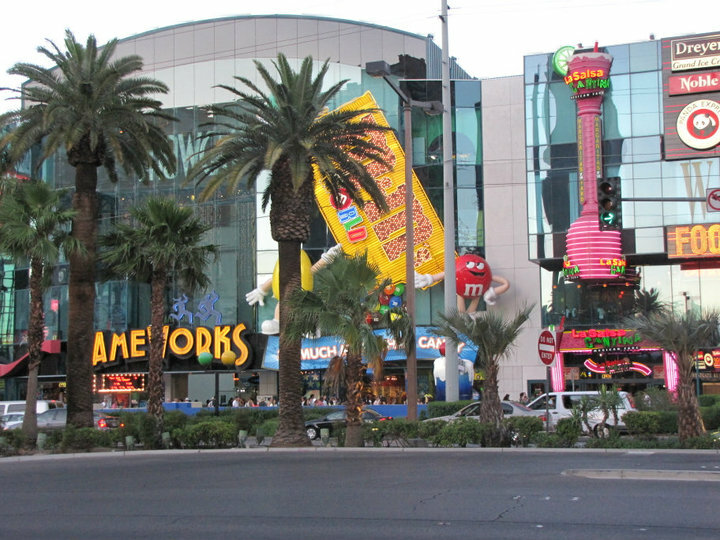 We walked the strip and shopped in the multi-floor M&M store. 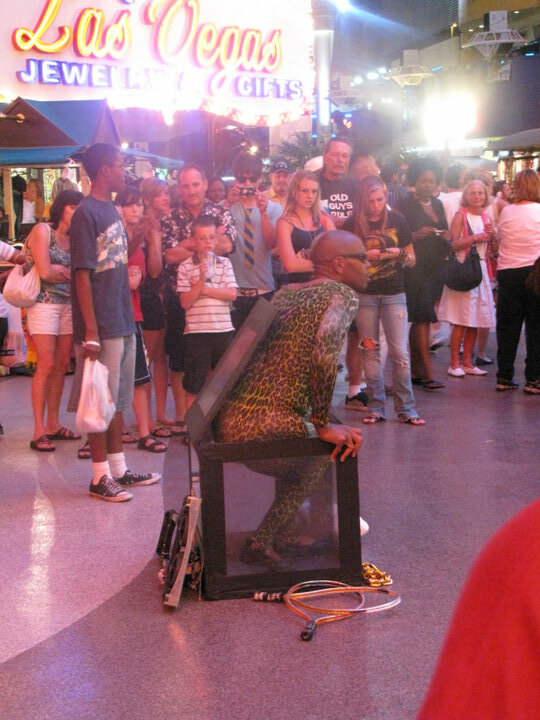 We had three nights in Las Vegas and so each of us chose an evening show. My choice was the Gordy Brown show (with an included dinner in the Golden Nugget buffet). The price was right, dinner was included and the reviews were good and well deserved. Gordy Brown is an impressionist, singer and comedian. The show contained a lot of all three and we all enjoyed it. 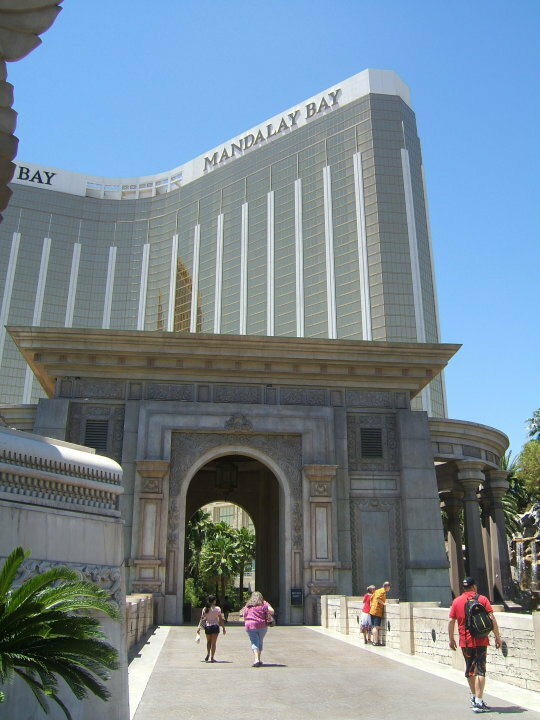 The second night, MJ’s choice was the Tournament of Kings dinner show at the Excalibur. The meal was fine — a chicken dinner featuring half of a small roasted chicken. The show was good also. Memorable at least, with horses and men in armor jousting in a huge ring. I wasn’t sure what to expect from this show and was surprised to find that the venue was so large. We all enjoyed it at the time but agreed that it was not anything we’d run to see a second time. I can’t say that about our third show which Amy picked: Frank Marino’s “Divas!” “Divas,” a show that featured male actors dressed as various female superstars such as Liza Minelli and Tina Turner, was totally fantastic! We sat at a table right against the stage and the actors would walk right out onto the tables as they performed. And their performances were great! They really looked and sounded like the women they were portraying. Amy definately won the prize for best show choice. I’d be happy to see that one again and again. Our dinner in the Golden Nugget Buffet prior to the Gordy Brown show was less than “okay.” I would have been very unhappy if we had paid the regular price which was $20. It was smaller than Paradise across the street and not nearly as good. There was an odd selection–a little bit of salad, a little Chinese, a little pasta, etc. The dinner rolls were not fresh. Even when I tore it in half to check the middle it was very dry–at least 3 or 4 days past its prime. The desserts were the biggest dissappointment as they looked really great but when you tasted them it was obvious they had been sitting out for hours. You had to slice off the edges of the cakes which were dry and crispy in order to get to the soft cake in the middle! The pastry had also been sitting out so long that instead of being tender and flaky it was tough. If it had been fresh, the dessert bar would have been the best part of the buffet. 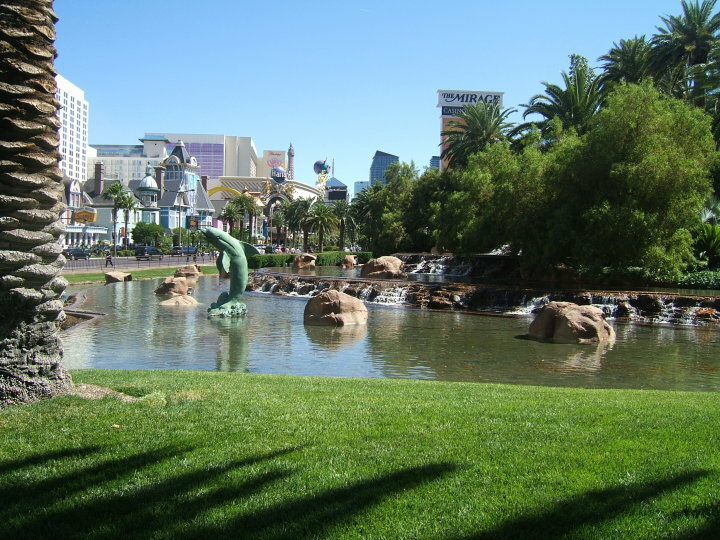 We ate breakfast each morning at the Paradise Buffet across the street from the Golden Nugget. On weekends they have the brunch buffet which was super good. The prime rib was delicious. There was a large assortment of foods to choose from. Some days the wait staff was just okay, other days we had fantastic service. The atmosphere is very pleasing and relaxing. They gave us a buy one get one coupon for the buffet when we signed up for their casino card which made this good deal even better. 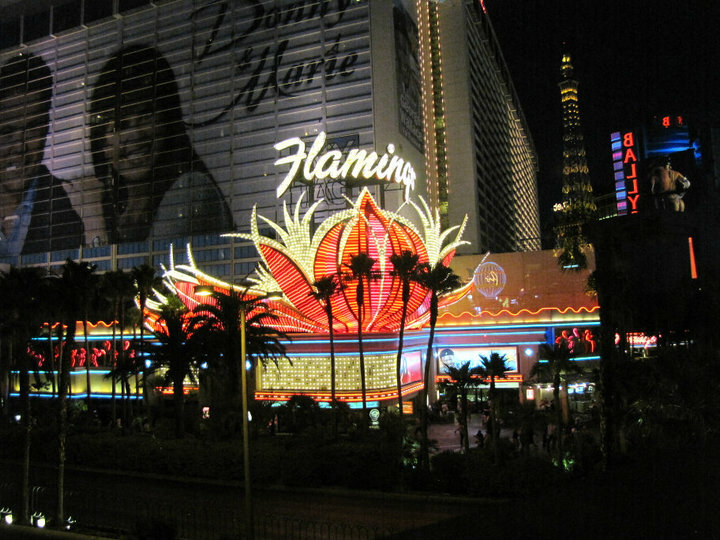 Even with the many “cons” on this trip, many more that usual, I must say that the sightseeing we did — all those bright lights at night and the over-the-top architechure by day — made this a fun trip. 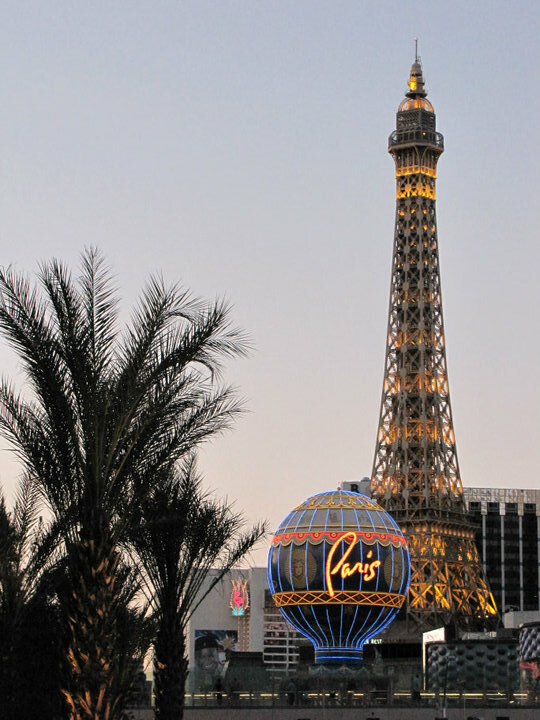 I have no desire to ever go back to Las Vegas, but I’m glad to have seen it once.